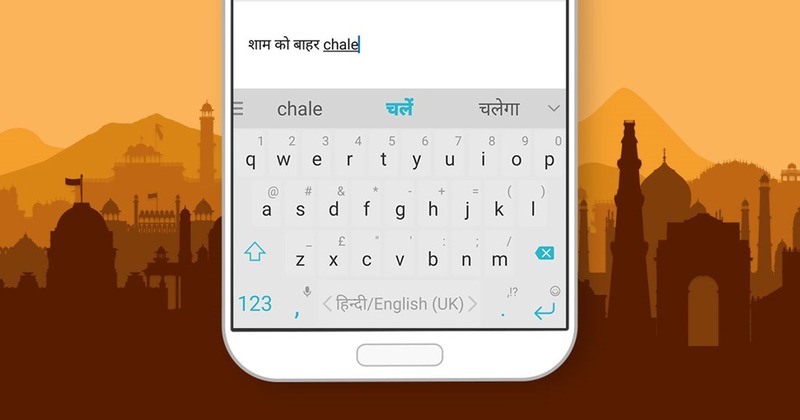 SwiftKey has updated its terrific keyboard app, in what we can call an India-centric update. We say that, because the update announced today, brings support for Hindi and Gujarati Transliteration. If you ever used Google Translate for Transliteration, you will know How to use this feature. In Swiftkey’s Transliteration, when you type a Hindi or Gujarati word in English, the keyboard will predict the word in English as well as in the original language, Tap the one you want, to insert the word, to the message window or app you are in. This saves you time from switching the keyboard’s language, and typing it using the other language. The transliteration itself is done by the app’s engine which automatically detects which language you are typing in (English or the script). The new Transliteration feature, will be automatically available if you have the Hindi or Gujarati language dictionary installed on your device. The feature works in the Qwerty mode only, so you won’t see English words when typing using the Hind or Gujarati keyboards. Download SwiftKey Keyboard for Free from the Google Play Store. There is no word as to whether Transliteration will be made available for other Indian languages, hopefully they will.